Wondering how you’re going to cope with yet another tiresome Monday morning? Take my poll! 1. What is your opinion on fluoridation? A. Fluoridation of our drinking water reduces tooth decay, and there is no reliable scientific evidence linking fluoridation to adverse health outcomes. Many opponents of fluoridation are guilty of cherry-picking data in an effort to make their case. B. Garp! Belp! Nasty chemically blergh… bad bad bad! Flurf! Look, chemtrails! C. Answer B is insulting and does you no credit. It’s entirely valid to have a contrary opinion on fluoridation, so there’s no need to depict us all as nutters. Look, chemtrails! 2. What do you think is the solution to Auckland’s housing affordability problem? A. They need to make more land. Why isn’t the government doing this? B. I pray every morning that God Almighty will descend from the heavens and smite mine enemies. Die! Die! Sorry, what was the question? 3. What is your opinion of David Shearer? A. A great man who will be the next prime minister of New Zealand. B. An amazing man who will be the next prime minister of New Zealand. C. An incredible man who will be the next prime minister of New Zealand. D. I wanted to put a different answer in, but this survey won’t let me. Hey, what gives? 4. What is your opinion of Maori Language Week? A. Any focus on the Maori language is a good thing. I love it! B. Bad idea. This reduces the number of English Language Weeks to only 51 a year. Slippery slope! Soon we’ll all be wearing grass skirts and eating our enemies. Yours sincerely, John Ansell. 5. Who is the real winner out of the Ikaroa-Rāwhiti by-election contest? 6. If an election were held tomorrow, who would you vote for? A. But there won’t be an election tomorrow. It can’t be done. Even if John Key decided today to hold a snap election, there would be certain formalities to adhere to, plus a campaigning period. Moreover, they always hold elections on a Saturday, as you well know. Have you checked your calendar? Tomorrow is Tuesday. What a stupid question. B. Cassie Henderson. She’s got the goods! C. Obviously, the Mana Party. I think they could surprise a number of people. I go to a lot of meetings, and probably ninety percent of the people I meet tell me they intend to vote Mana. There’s a real mood for change out there, and I’d be amazed if they didn’t win at least twelve seats. Amazed! D. I always vote TV One. Is there another channel? 7. What is your opinion on David Bain? A. Guilty, and I can prove it! B. Not guilty, and I can prove it! C. It’s a very complicated case, and people shouldn’t jump to conclusions without knowing all the facts. How many of us were there at the retrial and heard every single bit of evidence? How do we reconcile all these various contradictory pieces of evidence? Because of all of these things I can’t really be sure either way, so I’m going to play it down the middle and suggest that maybe Bain killed only some of his family. D. Don’t ask me. I don’t watch those reality TV shows. 8. What do you think about John Key’s big transport announcement last week? A. Everything John Key does is terrible. Bah! B. Everything John Key does is awesome. Ahh! C. As a South Islander I object strongly to Auckland. Now, what was this announcement about? 9. How do you feel about Nelson Mandela? A. I owe him everything. He showed me how to love again. B. Margaret Thatcher called him a terrorist. I have styled myself on Margaret Thatcher, and have expressed my admiration for her on many occasions. Talk about awkward! C. Wouldn’t have him in my team. An overrated halfback made to look good by a dominant forward pack. His pass is slow, and his game is two-dimensional. D. A great man. Truly can we say that Madiba is Africa’s John Key! 10. Should New Zealand offer Edward Snowden asylum? A. He’s not Chinese? Oh, then no problem. B. He knows all of the US’s juiciest secrets. We should lure him here under false pretences, then torture the hell out of him until he tells all. We’ll use the information he tells us to build an enormous space robot that disables the entire US defence network; then our vast armies of super-soldiers will sweep across America, killing, burning and looting. Once the people of America have been crushed and its government has surrendered to us we’ll be in a stronger position to negotiate a free trade agreement with them. C. He’s not one of those foreign chaps, is he? Can’t abide them. D. Why should we give him any of our asylums? If he wants to come here so badly he can bring one of his own. Your postie will find me. 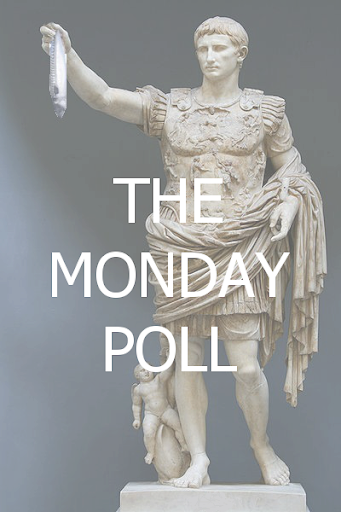 1 July, 2013 in Monday Poll. How to explain that poll?